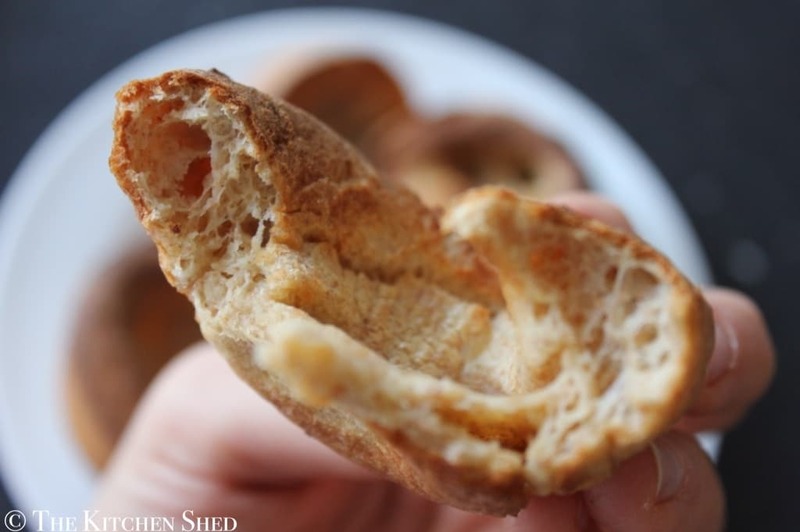 We don’t really eat yorkshire puddings as a rule. I have never made them from scratch before now and I don’t buy them for roast dinners so they really are a treat whenever we visit my parents house for dinner. My boys go crazy for them! I wish I had known how easy they were to make and maybe we would have enjoyed them more at home because they are SO delicious. I made these with whole spelt flour but you could use plain wholemeal flour too. 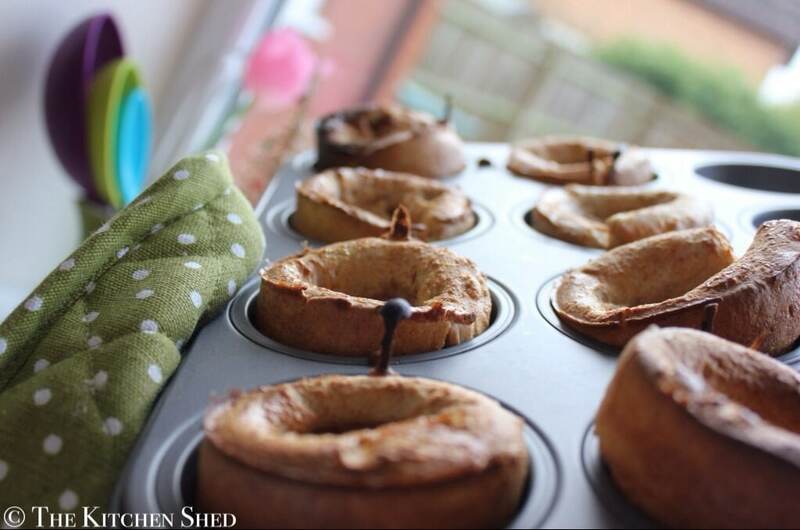 These yorkshire puddings are wholesome and flavourful and would make a great ‘special treat’ addition to your roast dinner but when you try these out, crack open the windows and turn on that extractor fan because otherwise you will go to be smelling like a Yorkshire Pudding! I made these with whole spelt flour but you could use plain wholemeal flour too. 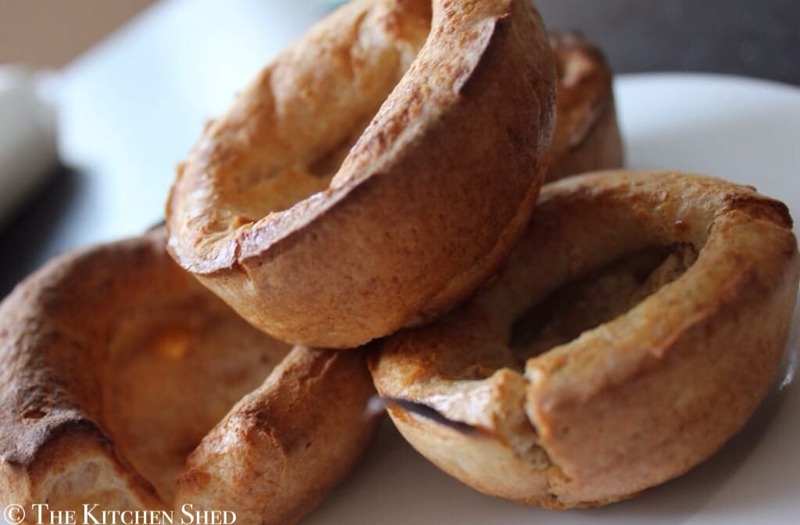 These yorkshire puddings are wholesome and flavourful and would make a great 'special treat' addition to your roast dinner. Preheat the oven to 220*C and place 1/4 teaspoon of coconut oil into each bottom of a 12 hole muffin tin baking tray. Once the oven is hot, place the muffin tray into the oven to heat the oil for 5 minutes until HOT! Whilst the oil gets hot, whisk the eggs into the flour and salt and then slowly add the milk. Whisk hard to remove any lumps. Once the oil is hot, remove the tray from the oven and fill each hole 1/4 full with the batter. Place the tray back into the oven and cook for 10 minutes until golden brown and crisp. Could coconut flour be used instead of spelt flour for these? These are the best Yorkshire I’ve ever had! Thank you for sharing this gorgeous recipe!!! !